Personalized forest & white 58” arc traveler auto – open umbrellas are largely utilized by hospitality, sports and green businesses for highlighting their brand credentials. People less likely to refuse a forest & white umbrella offered to them because it looks appeasing in all situations and triggers positivity in their minds. Features –58” forest and white canopy arc, strong metal shaft and handsome wooden handle. Dimension – 58” arc closes to 22”. Imprint area – 12 1/8” W X 11 3/4 H X 6” Top. 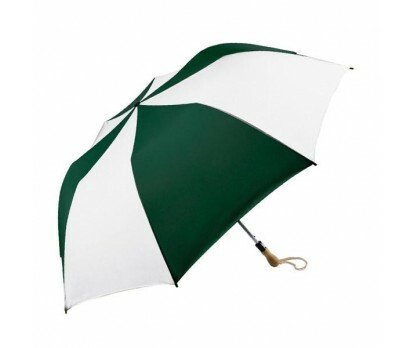 Marketers can choose to gift this umbrella during some special business occasions or as a goodwill gesture at the end of a service.